The new route from St Leger sur Dheune to Macon, in southern Burgundy, will take you on a fascinating adventure through varied scenery and history. 130km of peaceful waterways with only 24 locks make this a perfect cruise, even for novices. 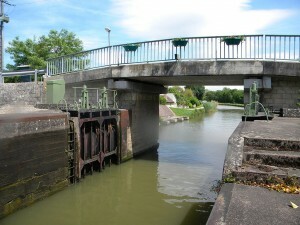 St Leger sur Dheune: The first boats cruised on the newly built Canal du Centre in 1793. Today’s port is situated on the ancient quay side. Just think how many boats have sailed before you! Previously used to transport gypsum and coal, with the coming of the railways in 1861, the canal was largely abandoned by the local industries of the time, and subsequently adopted by the locals for fishing and boating. It’s now the perfect place to relax and enjoy cycling and walking. Santenay: This small village is renowned for its red wines made from the full-bodied Pinot Noir grape. Moor below the 19th century windmill while you explore the vineyards, of which one third produce Premiere Cru! Stop off for a tasting and purchase some wine for your holiday. Chagny: Another delightful wine village marking the border between the Cote de Beaune to the north and the Cote Challonais to the south. 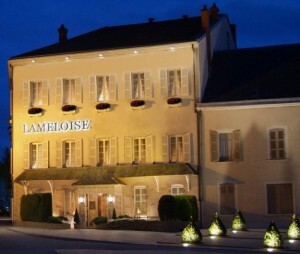 Pre-book to enjoy a wonderful meal in the 3-star Michelin restaurant, the Lameloise, for a culinary treat! Rully: Take your bikes along the quiet country roads to visit this vineyard village, and enjoy a tasting in the bistro. “Kanalo Fragnes” by Bildoj – Own work. Licensed under CC BY-SA 3.0 via Wikimedia Commons. Fragnes: The port here offers excellent services including laundry machines and wifi for those of you who feel the need to stay connected! Upload your photos and share your cruise with your friends… There is also a number of shops selling local produce. 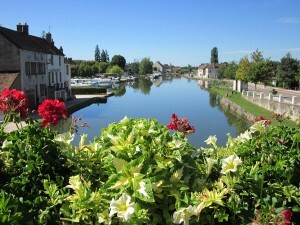 Chalon sur Saone: As you leave the Canal du Centre behind, your first major port of call will be at Chalon sur Saone, a large, lively town dating back to Roman times. “Chalon-sur-Saône” by P. Jacquet – Own work. Licensed under CC BY-SA 3.0 via Wikimedia Commons. Plenty for everyone to see and do here..
Why not visit the Photography Museum dedicated to Niepces, the founder of this noble art, admire St Vincent’s Cathedral on the town square, dating back to the 8th century, or explore the market stalls and numerous boutiques? As well as wine caves, there are many restaurants to suit all palates. Tournus: Tournus marks the beginning of the Macon region and the architecture begins to change, toward a more Mediterranean feeling. 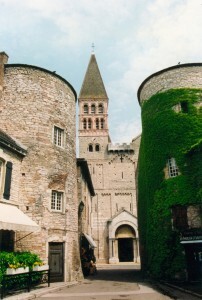 “Tournus abbaye“. Licensed under CC BY-SA 1.0 via Wikimedia Commons. Towering above the river Saone is the stunning church of St Philibert, which dates from the 11th century. Other monastic buildings surround the church including the Cloisters and refectory, giving a detailed insight to medieval monastic life. Joining the river Seille, known locally as Fisherman’s Paradise, you will be treated to a wealth of fauna and flora as you cross the Bresse plains. This is a very peaceful waterway and ideal for swimming and fishing alike. Branges: Moor up along the working mill for a unique day or overnight stop! 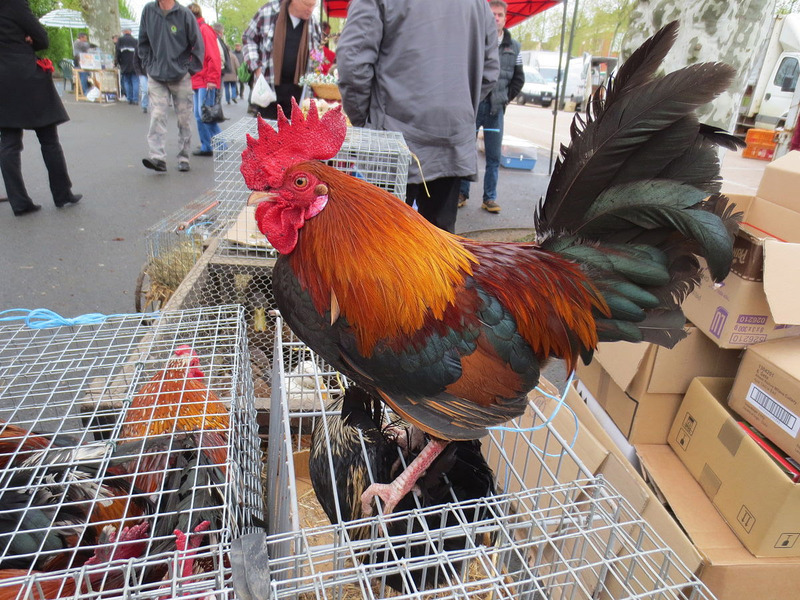 Louhans: At the end of the river Seille, lies this beautiful town famous for its livestock market. Visit the ancient arcades in the old town where a variety of shops are now housed. Step back in time in the Hospice with its wonderful collection of apothecary jars in the dispensary. Returning toward the river Saone, you may like to stop off for some traditional french cooking at La Truchere, where the Auberge de la Grenouillère welcomes you. Fleurville, a quaint, tiny village of just 500 inhabitants dominated by its 17th century chateau. 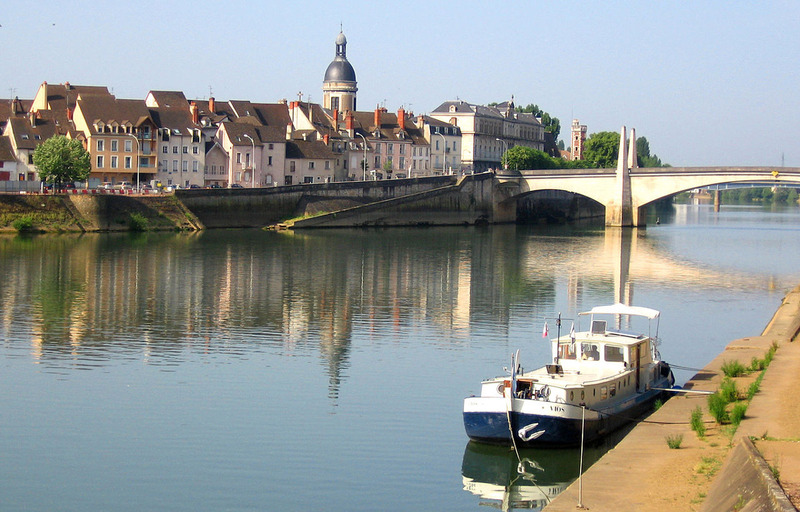 Pont de Vaux: If you have been bird-watching during your cruise but haven’t yet managed to identify all the species spotted, do visit the Natural History museum featuring a large ornithological exhibition. And finally, you will reach Macon, one of the most ancient cities of France at over 2000 years old. Many of its relics were destroyed in the religious wars, but you will be able to see wooden houses dating from the 16th century, the 11th century St Laurent bridge, and the Sénecé hotel from the Renaissance period. Take time to visit this beautiful town and to taste some fine wines before you continue your journey. Whether you cruise aboard a traditional Penichette or a luxurious, modern style Linssen, you are sure to enjoy this varied cruise. Book before September 14th to qualify for the 2014 rates, with an additional early booking discount, which can be combined with our family offers to save you up to 15%! What’s more, if you book before September 1st, pay just 20% deposit to secure your ideal dates and boat! To claim your gift, just quote “route scoop“ to prepare for your cruise. The Waterways Guide is the perfect introduction to the region: Read about the all towns and villages along the way, and study the navigation maps from home before you set sail. and to book your 2015 cruise. Remember to quote “Route Scoop” for your free gift!